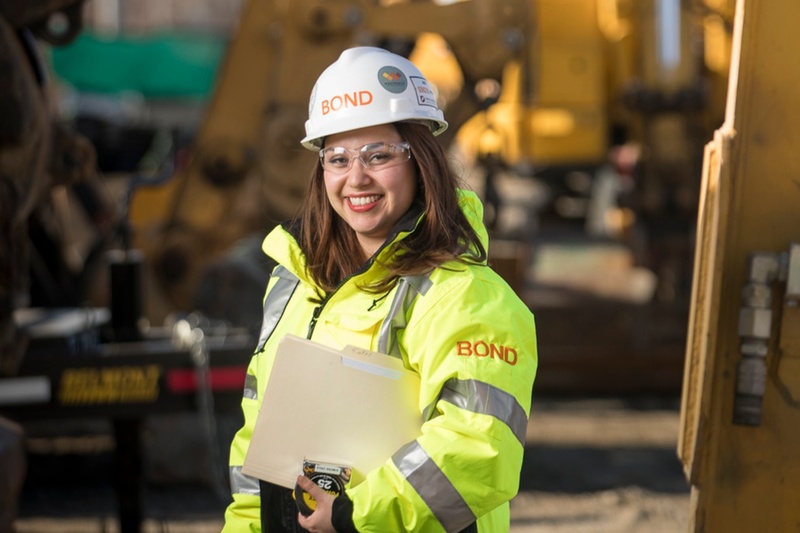 Why did you choose construction management as your chosen career path? Did you have any mentors that encouraged you? My parents had a big influence on my career path to go into the construction industry. They are architects in Guatemala. While growing up, I would visit their construction sites. These visits made me appreciate how much hard work pays off and to see a project completed. Today, my Mom is one of my biggest mentors. She always encourages me to think big and work hard. She pushed me to keep pursuing my education and inspired me to get my master’s degree in Architecture from Wentworth Institute of Technology. What new things have you learned on your projects? Working on the Boston University Theatre Center project, I learned so much about new building construction. It’s fascinating what’s involved with building a foundation – the materials, timing of concrete, specialty products and scheduling around the weather. I’ve also learned the intricacies of building a complex façade, with long-lead time deliveries and custom-made products. When you’re on a fast-track schedule, there’s a strong collaboration with the design team, subcontractors and owner to help each other. That’s a rewarding experience. What challenges have you experienced as a woman in the construction industry and how did you face them? Even though there are more women in construction today than in year’s past, we are still in the minority. However, I don’t let that hold me back and I would advise other women to do the same. I’ve built some incredible relationships with some very successful women in the industry that have encouraged me to follow my dreams. I’ve learned that if you continue to move forward and work hard, you can face any challenges along the way.